Sun-shade canopies are simply BŌK Panels mounted horizontally. 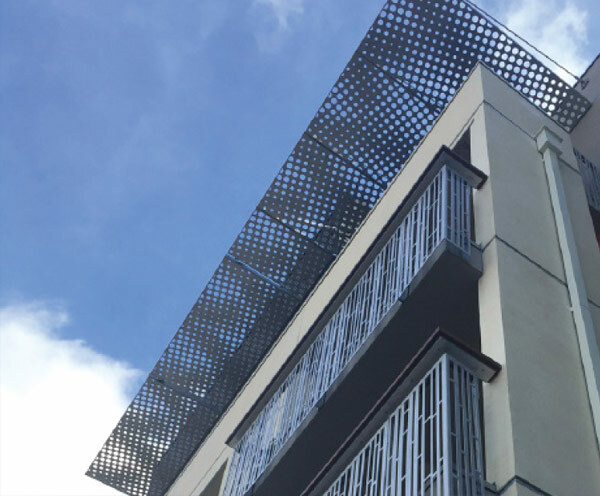 Depending on projection, BŌK panels can be either cantilevered out from the structure with simple brackets or provided with additional support using a cable or rod and clevis attachment. The patterns of light and shadow projected from your favorite pattern will beautifully enhance your building’s façade.